Build Your Dream Home Up To 6500 Square Foot On This 2.07 Acres! 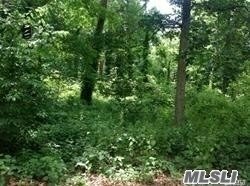 Quiet Tree Lined Flat Lot Nestled Between 2 Cul De Sacs On One Of The Most Prestigious Streets In Old Westbury! Close To Long Island Expressway Only 25 Minutes To Manhattan!